ALA is pleased to present the book "La recita dell'architetto" by Giorgio Scianca and Steve Della Casa. The book collects 1523 films, in all the languages, from silent films to today, in which an architect is the protagonist and links between the world of cinema and architecture are discusseed. The event is free and will be held Tuesday, December 15, 2015 at 6pm at the Palladio Museum in Contra Porti 11, Vicenza. 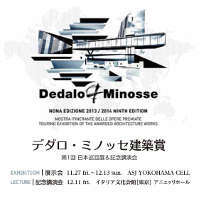 The International Prize Dedalo Minosse flies to Tokyo thanks to the collaboration with ASJ (Architects Studio Japan). The exhibition of awarded architecture works of the 9th edition will take place at the ASJ YOKOHAMA CELL from the 27th of November to the 13th of December 2015. 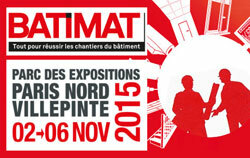 Dedalo Minosse Prize's director, Marcella Gabbiani, presents architecture works, clients and architects from previous editions of the Prizes and launches the upcoming edition that celebrates the twenty year anniversary, in Paris at Batimat, international building exhibition, on the 5th of November. 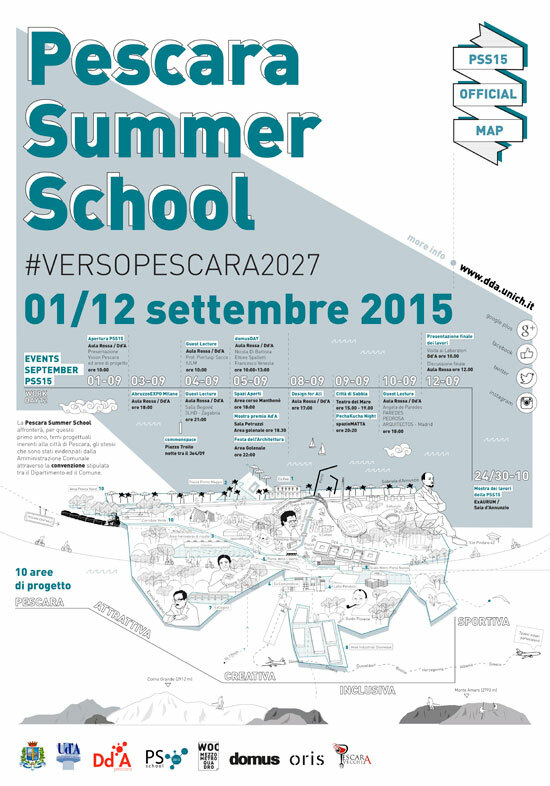 On 8th September 2015 join us for the Pescara Summer school! 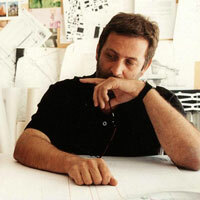 Dedalo Minosse will talk about the experiences of the past years, when the architectural clients met Design for All. Congress: "Inclusion: Option or duty? 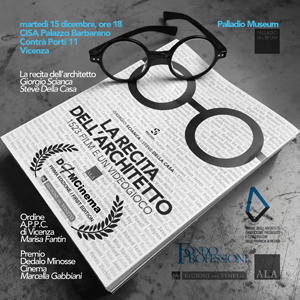 Design for All for the inclusive accessibility of spaces and environments"
ALA - Assoarchitetti is pleased to present Dedalo Minosse Cinema Prize and the book "La recita dell'architetto" written by Giorgio Scianca at the 72nd Venice Film Festival. With the partecipation of Giorgio Scianca, Steve Della Casa and Marcella Gabbiani Prize Director. 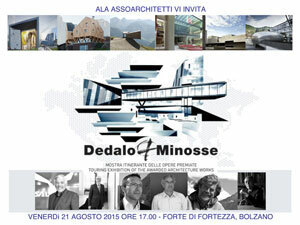 ALA - Assoarchitetti is proud to invite you at the launch of the traveling exhibit of Dedalo Minosse Prize scheduled for the next 21 august at Forte di Fortezza (via Brennero, Fortezza; BZ). Intesa San Paolo's Pavilion at Milano EXPO hosts the Dedalo Minosse Prize and the successful stories that characterized this event in nearly 20 years. La Stampa blog "Cultura-Natura", cured by Fortunato D'Amico, hosts the conversation between Bruno Gabbiani and Diego Chilò, designer. This week Eventi & Saloni, the ADA Channel show that presents the most important Italian cultural events, leads the audience to the Olimpic Theatre for the ninth edition of Dedalo Minosse Prize.